6 Reasons To Get Motivated for Your Holiday Marketing. Who’s ready for Christmas? Yeah, I know, unless you’re under ten-years-old, the holidays are probably the last thing you want to think about right now. While autumn blows in, Santa Claus, and Jingle Bells don’t sound all that appealing; however, this is the opportune time to get your holiday marketing campaign underway. In fact, if you haven’t already got a good strategy established, you’re already behind! There are lots of reasons why implementing a marketing strategy now is the smart thing to do, but the number one reason is…you ready for it? Customer loyalty. By starting in September, you can put in the time required for a successful inbound campaign. This will do nothing short of dazzle existing and potential customers alike, thus leading to the holy grail of business objectives: Loyal customers who’ll keep coming back for more, long after the holidays are over. This isn’t a big secret; major retailers have already recognized that planning for the holidays needs to start way before we’re ready to start hanging up our mistletoe. According to the Wall Street Journal, 53 percent of retailers plan on starting their holiday marketing campaigns in the months of September or October. So, sit back and let us show you tips and stats to help you get inspired and out of the gates with your holiday marketing campaign! 1. Get a Leg Up on Your Competition. Competing with large corporations is a challenge for any small business; with their gigantic budget and customer-base, it often seems that the sky is the limit for mainstream retailers. Even shoppers who plan to support small businesses often end up succumbing to popular retailers. This is one reason why you have got to jump in now and gain the loyalty of potential customers before they give in to the ease of crossing off their shopping list at Walmart and Target. Also, while it’s true that 53 percent of major retailers start their holiday marketing in September and October, this is not the trend among entrepreneurs. According to Constant Contact, only 31 percent of small businesses surveyed will start their holiday planning two to three months in advance. This leaves a massive door of opportunity for your business to step in and gain customers while the competition is lagging behind. …only 31 percent of small businesses surveyed will start their holiday planning two to three months in advance. Putting work off until the last minute might have worked in high school (although it most likely didn’t! ), but using the same strategy for your business is not a winning idea. Trying to plan your marketing campaign when the holidays are right around the corner is a recipe for disaster. Not only will you be seriously stressed, but trying to slop something together is going to result in some really poor strategies, which lead to a pathetic business outcome. As I’ve already mentioned, the holidays are not only a great time to make huge sales, but also to gain repeat customers who will continue to frequent your business long after the Christmas lights are down. This is your once-a-year opportunity to reach new customers while giving your business a tremendous boost; don’t blow it because you’re a procrastinator. It’s time to get your reindeer in a row and get started before it becomes a race against the clock. 3. Marketing is All About the Internet. By now, everyone from the Kindergartener next-door to their ninety-year-old grandpa is connected to the internet in some way. The World Wide Web is here and, barring a power-grid failure, not going away! The thing about the internet is that it is always changing, and your competition realizes this. Just having a Facebook page is no longer enough; you need to look at what other businesses are doing and then implement their online strategies in your own way. The holidays are the perfect time to find new online platforms and take full advantage of them. E-commerce has taken the world by storm and starting early gives you the chance to take your online presence to the next level. 53 percent of retailers plan on starting their holiday marketing campaigns in the months of September or October. 4. Give Yourself Time to Perfect Holiday Landing Pages. When December rolls around, people want to see Christmas trees, sparkling lights, and snowmen; when they get online to do their shopping, they want the same thing. If you provide your customers with nothing but the usual, bland website they see all year long, it’s not going to put them in the Christmas shopping mood. By starting your holiday campaign early, you will have time to not only build landing pages and micro-sites that are designed to appeal to shoppers. E-commerce has taken the world by storm and starting early gives you the chance to take your online presence to the next level. 5. Be Willing to Try New Things! Need extra incentive to go on and plan your holiday marketing campaign right now? If you jump out there and have your strategy mapped out by mid. October, it will give you a chance to get creative with other methods of advertising. You don’t have to just stick to the website and social media; instead, you can step out with contests, events, promotions, extra sales, or even something new. 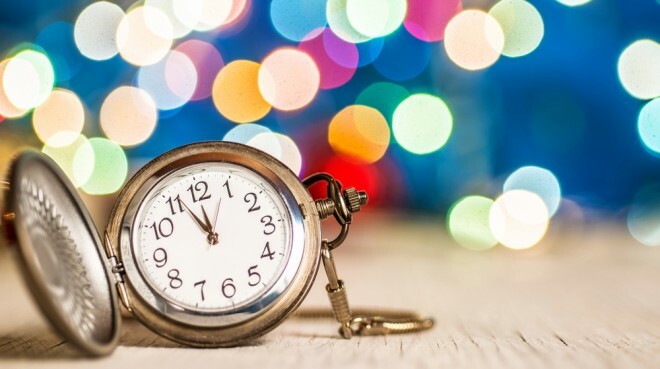 This holiday season, don’t be afraid to try something you’ve never done before – and don’t let a limited timeframe keep you from executing all the different marketing opportunities. …step out with contests, events, promotions, extra sales, or even something new. 6. Early Planning Provides Free Time to Enjoy Your Own Holidays! Waiting until the last minute to plan your marketing campaign has serious consequences for not only your sales, but also for your personal life. When you put off organizing a strategy until the last minute, you’ll likely be left struggling to get a game plan underway while everyone else is out shopping and enjoying their own lives. I’m not going to lie: Running a small business during the holidays is going to be hard work no matter what, but the struggles can be minimized with advanced work and organization. If you get your business prepared now, you can sit back to enjoy eggnog and Christmas carols when the time rolls around. Don’t be in denial; even though it may feel more like pool party weather, the door to holiday marketing is beginning to close. According to a report done in 2013, twenty-three percent of shoppers begin hitting the stores in early fall and three-fourths of them will have their holiday shopping finished before December rolls around. If you haven’t already started your marketing campaign, then you’re already behind. Don’t waste any more time; get your marketing campaign on the road and help your business have the best winter success yet!